Here's something that will scare the yell out of them! 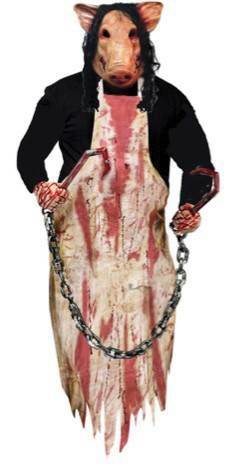 A hanging demented butcher pig! This will look great in any butcher room scene. Measures 36'' in length.